Podcast Summary: In this edition, hosts Phillip Crum and Kathleen Mills discuss employee assistance programs with Jeremy Schabow and Carrie Reuter of Empathia. 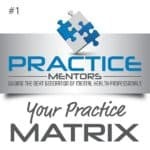 Podcast Summary: In this edition, hosts Phillip Crum and KM discuss the Empathic Clinical Software suite with owner Debra Lindell. Podcast Summary: In this interview, Phillip Crum discusses the effects of the Affordable Care Act with therapist Kathleen Mills and insurance broker Richard Phillipe. Phillip and Kathleen also discuss her upcoming symposium for mental health professionals, where Richard will also be speaking. The symposium is April 30 at the Crowne Plaza Hotel in Addison.